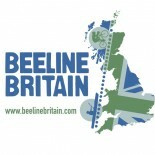 One year on……..Ian O’Grady reflects on the Beeline Britain journey and provides a summary of the team’s achievements. Four years ago it seemed inconceivable that this ‘end to end’ journey would ever happen, and looking back at the seemingly endless training, meetings, skype calls, driving to and from Wales, route planning, packing, planning and the relentlessness of the actual journey I have learned more than I could imagine. The power of motivation and determination. The importance of working with people who a) understand and believe in the cause, and b) share the desire to succeed. These stories of achievement, motivation and determination which have created such tangible success have been so humbling to be a part of – those which, to the casual observer are hard to be impressed by without the background, the whole story. Of course I am indebted to Adam, Tori and Nick for their 100% commitment to such a ridiculous challenge, but I also think back to Tom, Sophie and Martyn who gave up their summer to pack boxes, stand in the rain waiting and to drive for 3000 miles – I think they even did my laundry! I think about Connor and Sarah who worked completely autonomously in really challenging conditions to give Beeline some amazing local regional and national media coverage, and Ian, Wolfy and Diane who followed us everywhere, all the time, day and night to capture the full story on camera. I think of the consistent diligence and perseverance of Pete and Rich whose input was critical on a daily basis. I think of the ability of Abi to always be in the right place at the right time with hot food and a massage ready for 17 people. 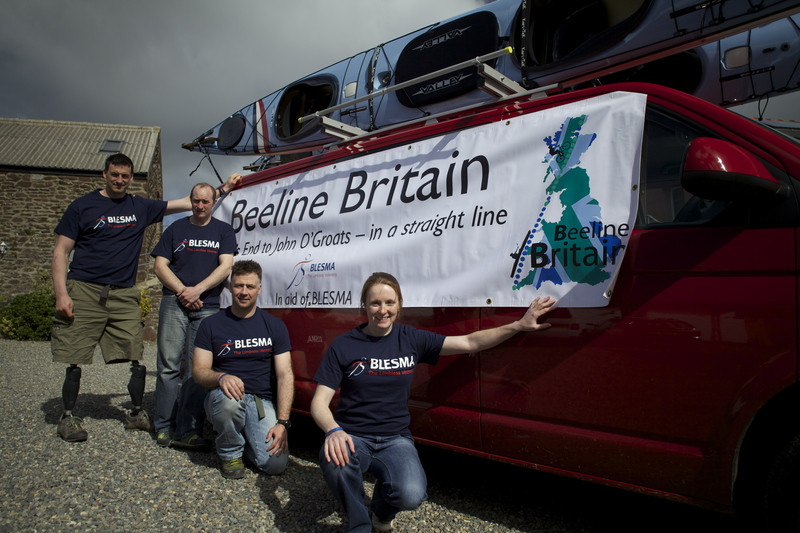 I think of Leki, Jonah, The Lady Kate, Anne, Rupert, and indeed the entire core team who I cannot thank enough for volunteering to give up months of their lives to create the success that is Beeline Britain. I also think of Mr and Mrs Harmer and the countless others who helped, supported, advised, and contributed in their own way to contribute to our success. Thank you all! Looking back through our blogs, this will be No.34 – each of the 33 others represent a moment in the history of Beeline. If you have a few minutes spare I urge you to enjoy browsing through these – they represent an amazing record of the diversity and complexity of the challenges we faced along the way and of each ‘mini’ success that make up the whole. I am signing off from this, as honoured, humbled and proud to have worked with so many amazing people who’ve all achieved the ‘impossible’. But the highest commendation of all must go to Nick and his fellow injured veterans, who epitomise everything that Beeline aimed to celebrate and showcase, and for displaying to the world that there really is ‘life beyond injury’ and that life changing injuries do not mean aspiring to less. 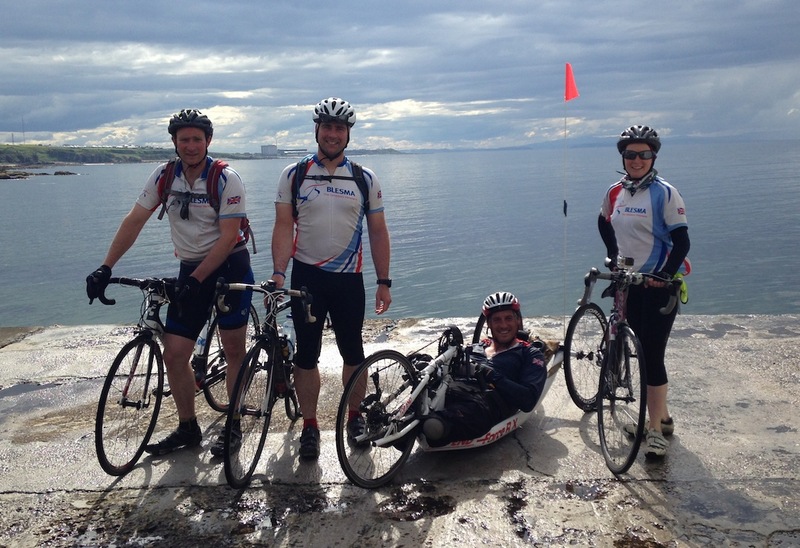 Aim: to complete the first ever straight line journey from Land’s End to John O’Groats. Duration: 28 Days (18 days on the move). First ever journey from Land’s End to John O’Groats in a straight line. 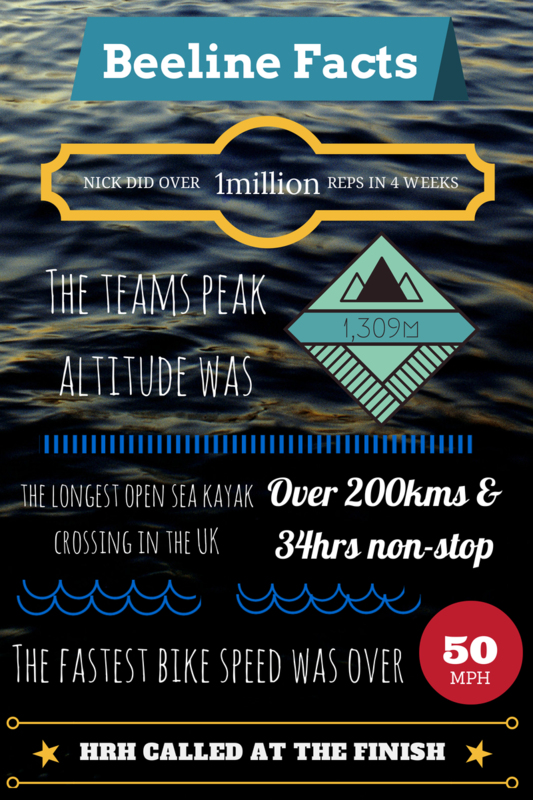 Longest open sea kayak crossing in UK waters – Land’s End to Freshwater West. 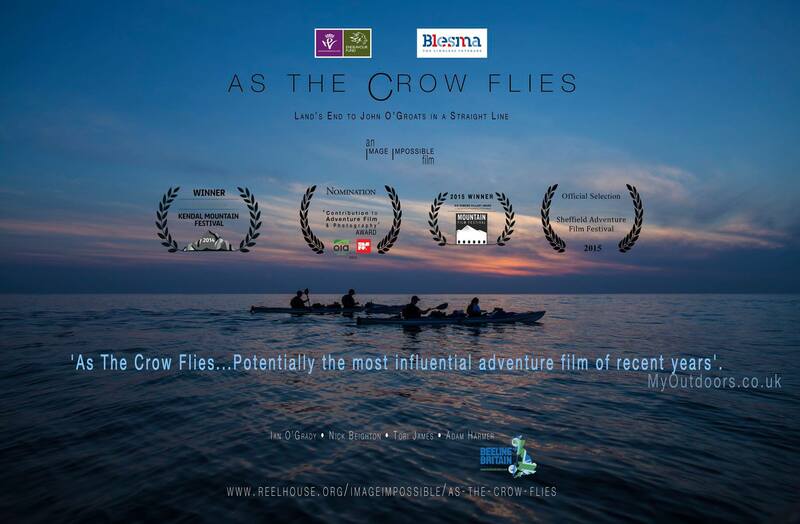 Second longest sea kayak crossing in UK waters – Porth Gain to Porth Dafarch. First bi-lateral above knee amputee to summit Ben Macdui – assumed!? First donation received on 21 Oct 2013, £10 from Pete Baars at Summit to Sea – cheers Pete. Today we have raised £24,244.02. Thank you all. We’re still receiving the occasional donation. Comprehensive Worldwide media coverage for Beeline Britain and Blesma, supporting our journey and the sacrifice and achievement of injured veterans of the British Military and support for life beyond injury. Regarded as ‘the gold standard in charity fundraising and adventure’ with full endorsement from Blesma, the Endeavour Fund, and the Royal Foundation of the Duke and Duchess of Cambridge and Prince Harry. Congratulatory phone call from Prince Harry just after we arrived at John O’Groats. This entry was posted on June 13, 2015 by toribeelinebritain and tagged adventure, Beeline Britain, BLESMA, film, kayak, record-breaking.